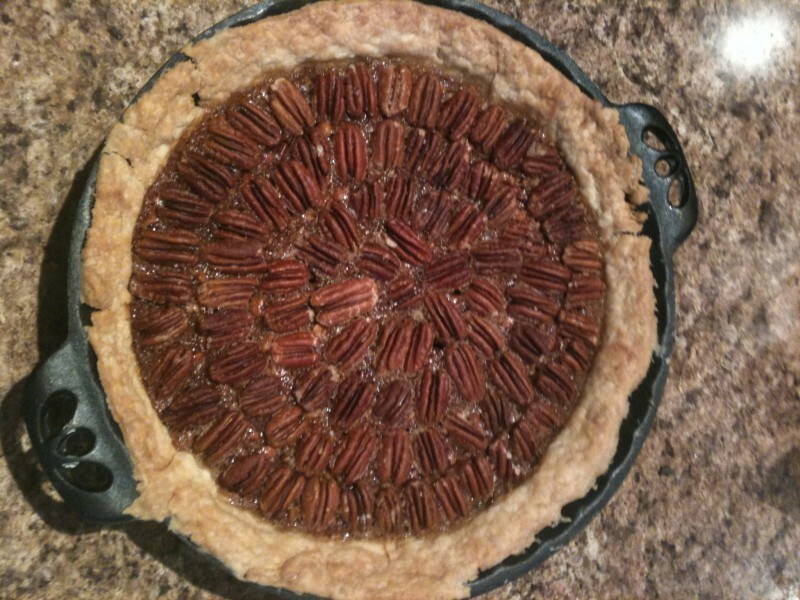 Most folks in the know consider making and baking pies somewhat of an art form. I know from my own experience the learning curve for making great pie crusts is steep and typically plagued with failure at the onset. Here are two ways to make this great dessert! fifteen minutes prior to baking is best. Crust Ingredients: Makes one crust for a 12″ Dutch oven or two crusts for 9″ pie pans. Cut butter and cream cheese into flour and work into a ball and flatten slightly. If using a 9″ pie pan divide in half and chill for an hour or so. Reserve the other half for another pie. (This dough freezes well.) Roll out the dough on a floured cutting board and place in pie pan. 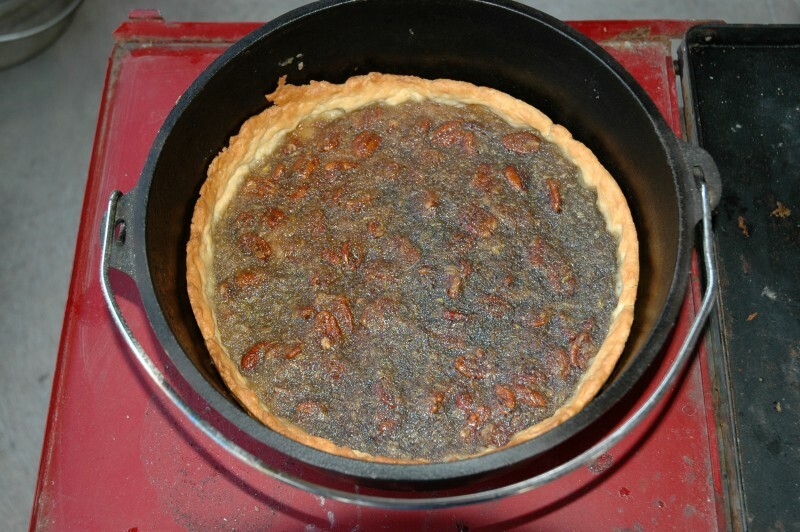 ** Check our earlier blog on Dutch Oven Sunday Morning Quiche to see a photo of the crust in the Dutch oven prior to adding the filling.